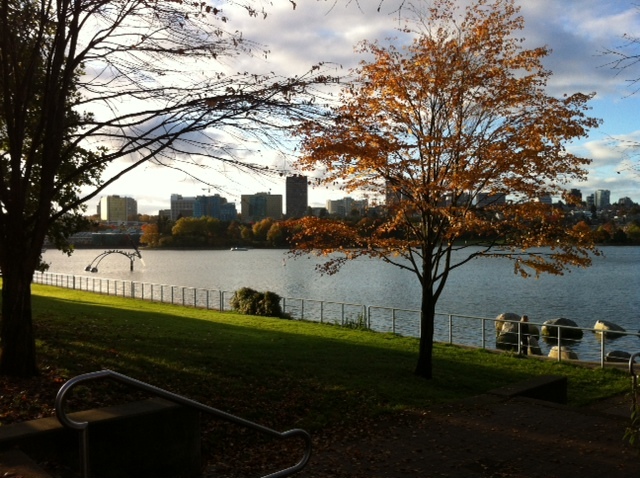 What a Halloween! Such SpOoKtAcULaR FUN for sure 🙂 Touring the streets of Yaletown, trick or treating with all the ‘tower’ kids of the neighborhood. 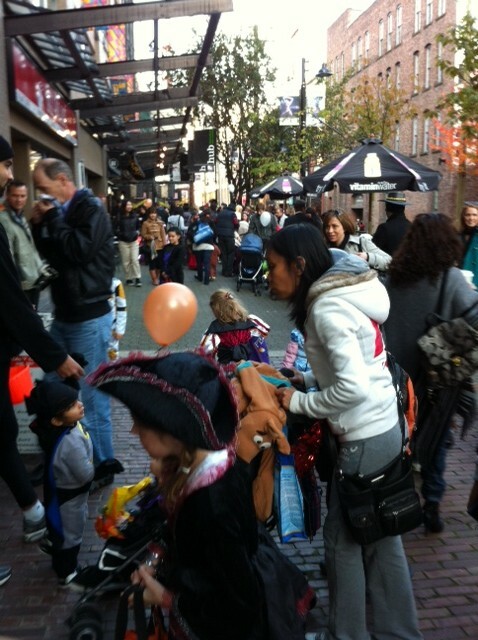 A huge shout out to the business’ of the Yaletown area of downtown Vancouver for creating a trick-or-treat to remember. We weren’t sure what to expect this year, considering the majority of people in this area live in security tight high-rises. In our particular residence we only have access to our specific floor, so we actually considered returning to our old hood to go door to door. We then saw notices around the neighbourhood advertising the ‘Yaletown Trick-or-Treat!’ We inquired with a few local families and they all raved about the experience. 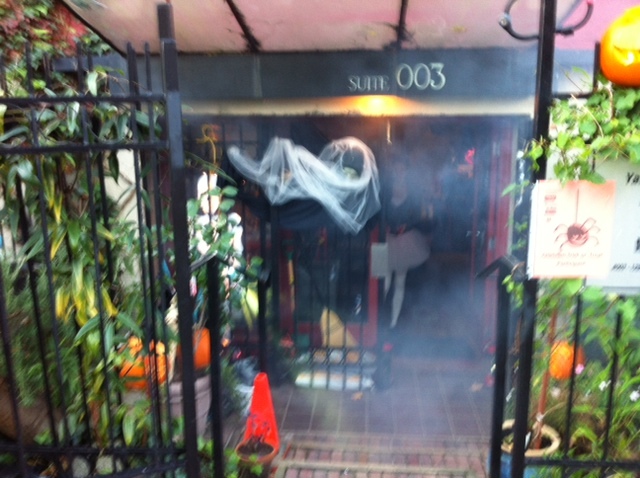 Our kids were then convinced to give our new area a go…330-530 the local business’ passed out candy to kids of all ages. The streets were buzzing with cute, creepy, crazy, and creative costumes! Parents, infants, school age kids, grandparents, daycares, you name it were filing up and down the brick layed walkways, the alley ways, in and out of shops. Some store fronts went all out with decorating, most employees/owners even put in solid efforts when it came to costumes – we were very impressed. There was a live band making their way thru the streets, the Roundhouse Community Centre put on quite the show, and the streets were pretty calm come dark. Our kidlets ran into some friends along the way, they were stoked the amount of candy they scored, and were pretty pleased with the family dinner at Cactus Club that we enjoyed before calling it a night with a bubble bath before bed. Yaletown, you outdid yourself. Thank you to everyone for making our first Halloween in the city a very cool experience and one we are thrilled to take part in again next year! 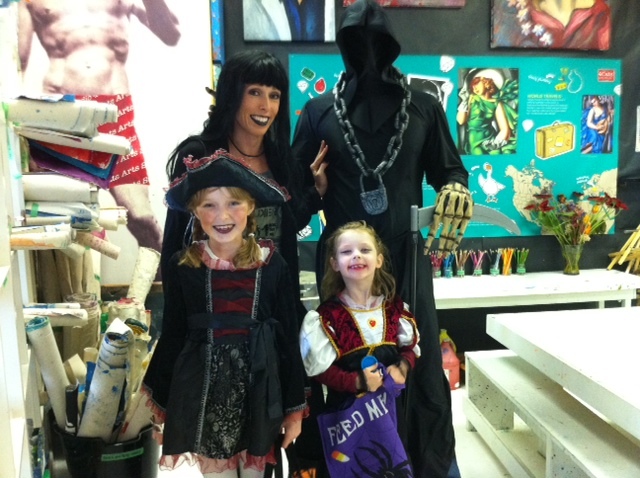 Hope you and yours enjoyed a SpOoKtAcULaR Halloween 2011!